This year’s gathering will be hosted by the Service-Learning Intercollegiate Collaborative (SLIC) of San Antonio. 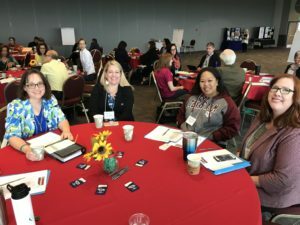 SLIC is a consortium of colleges and universities across the San Antonio region that meet on a monthly basis to discuss best practices and challenges in community service, civic engagement, and service-learning, and to collaborate on various programs. 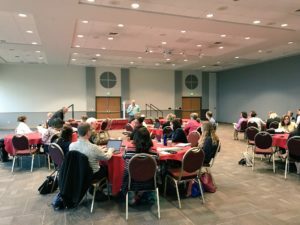 The Gathering is an annual forum for exploring best practices, challenges, opportunities, and resources for service-learning and civic engagement. Join Texas higher education faculty and staff at this discussion-based forum as we explore ways to increase community awareness and involvement within the academic environment. Each year The Gathering is hosted by a different institution. We are grateful for past hosts at University of Texas Arlington in February 2017, and Sam Houston State University in 2015. Registration and fees for this event is $99 per individual (including meals and materials). If you have any registration or payment questions, you can contact Jennifer Bendele of Our Lady of the Lake University at 210-431-3990 or JBendele@ollusa.edu. About the schedule or event plans, you can contact Brandi Raschke of UTSA at (210) 458-6114 or Brandi.Raschke@utsa.edu. Free parking is available in the Alamo Stadium parking lot across the street from the Coates University Center – Skyline Room. Enjoy welcome remarks, special speaker and a networking happy hour. Click here for a list of nearby hotels for this event. Although there are no hotels within walking-distance, most are a just a few miles away. Individuals can quickly drive or take a taxi to both locations. Trinity and the University of Incarnate Word are across the highway from each other. The Rosenberg Sky Room is located on the fifth floor of the McCombs Center, which has free indoor parking on the lower floors. The McCombs Center is conveniently located at Hildebrand and US-281, but please follow these directions for entering to avoid problems with one-way areas. 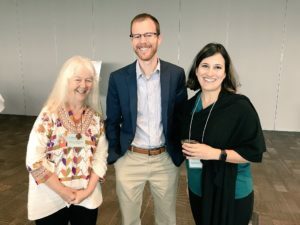 10:00 AM- 4:00 PM Four interactive sessions and lunch Topics include: Building effective partnerships, assessment and evaluation, funding your service-learning program, faculty incentives for service-learning, good practices for experiential learning, and a conversation about DACA and its implications in our work.